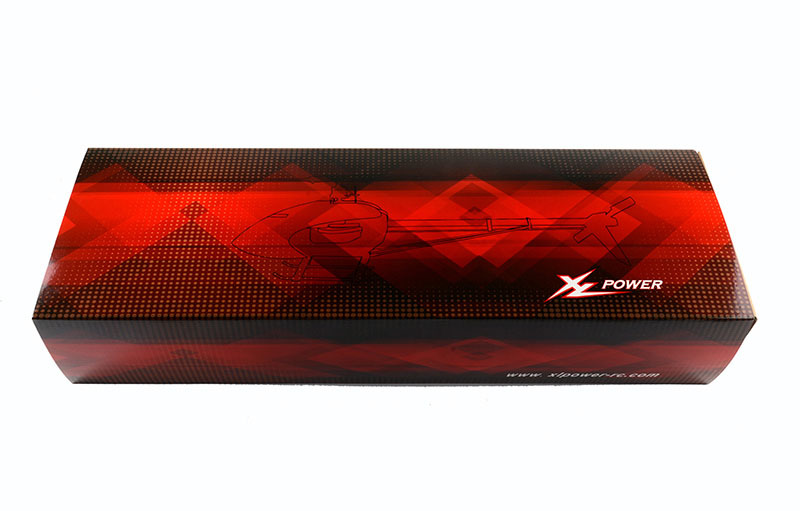 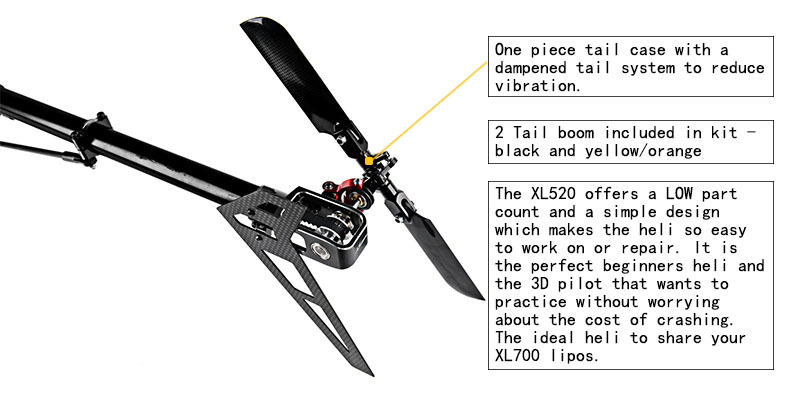 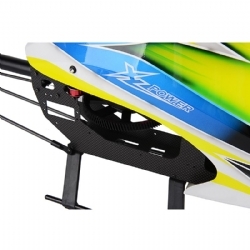 No matter whether you are a newcomer or a professional, the brand new XLPOWER520 will give you the new flying feel. 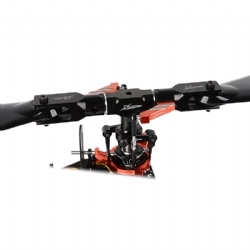 1.HPS (High Precision Head System), New head with 2-piece blade grip preserves grips in the event of a crash. 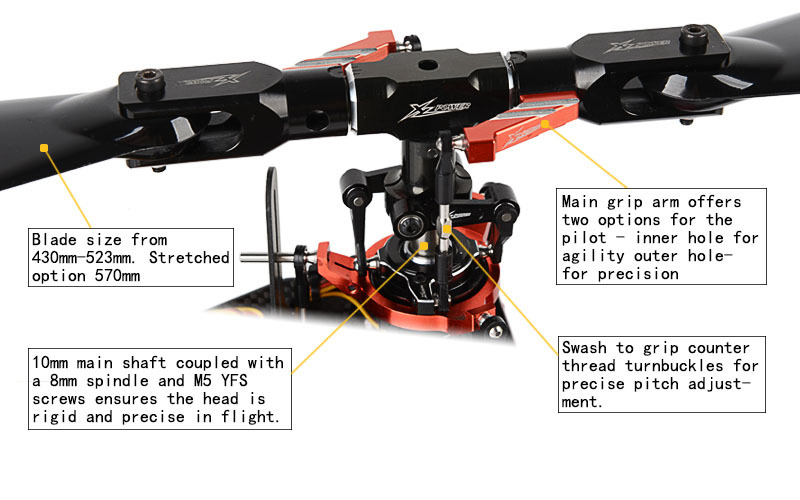 2.To improve the strength and durability of the 10mm high strength steel main shaft,8mm high strength steel spindle shaft,M5 YFS high strength spindle shaft screw. 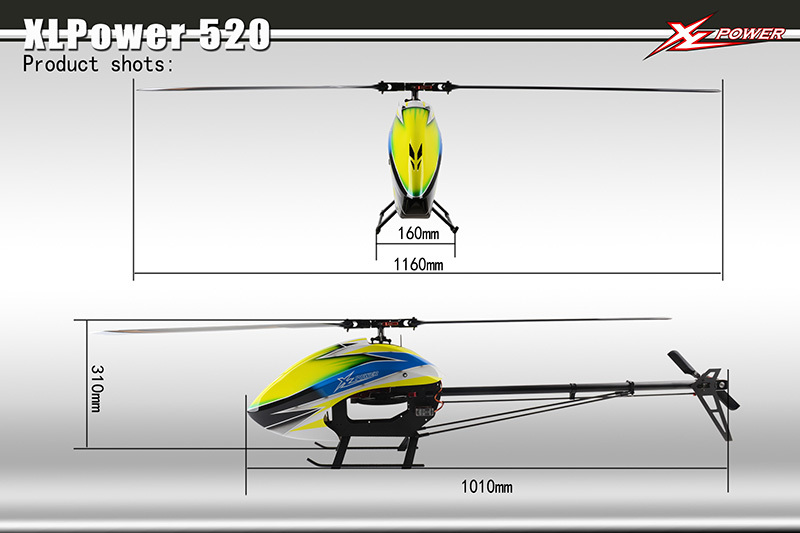 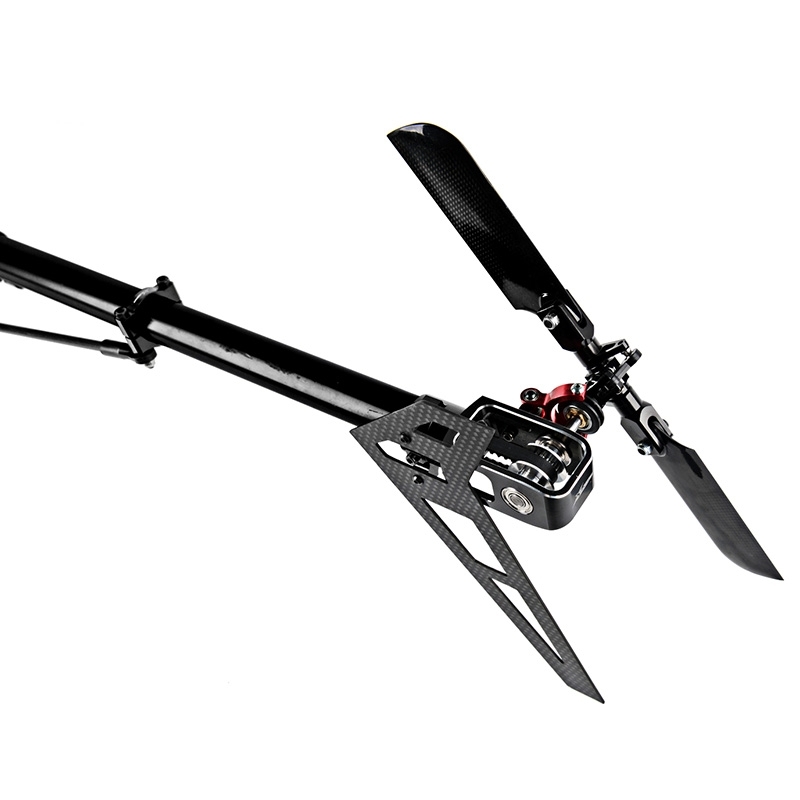 New head with 2-piece.Blade and support 3-4mm aperture,rotor blades compatible size 430mm 470mm 480mm 500mm 515mm 520mm. 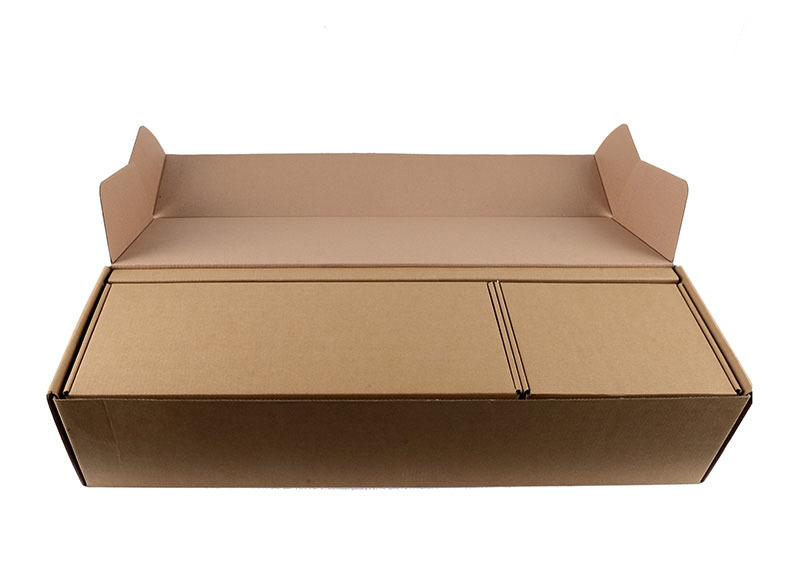 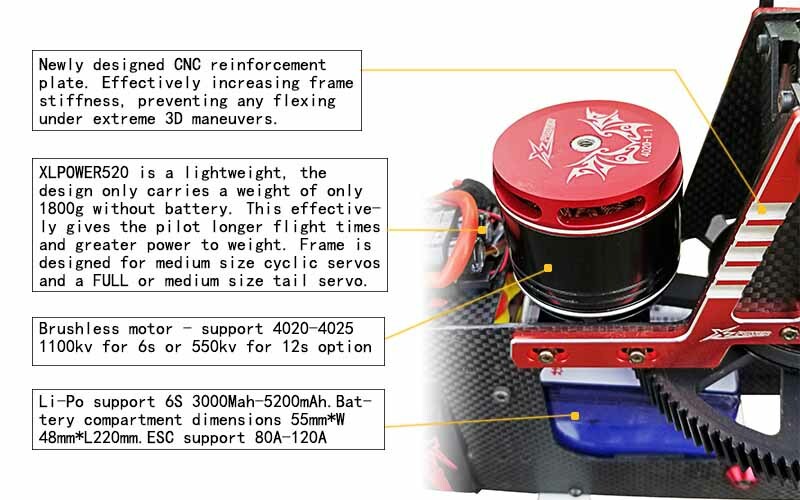 3.Brand new CNC metal reinforcement plate effectively increase the torsional strength of main frame, under extreme 3D maneuver, you can strongly feel its solid reinforcement from its structure. 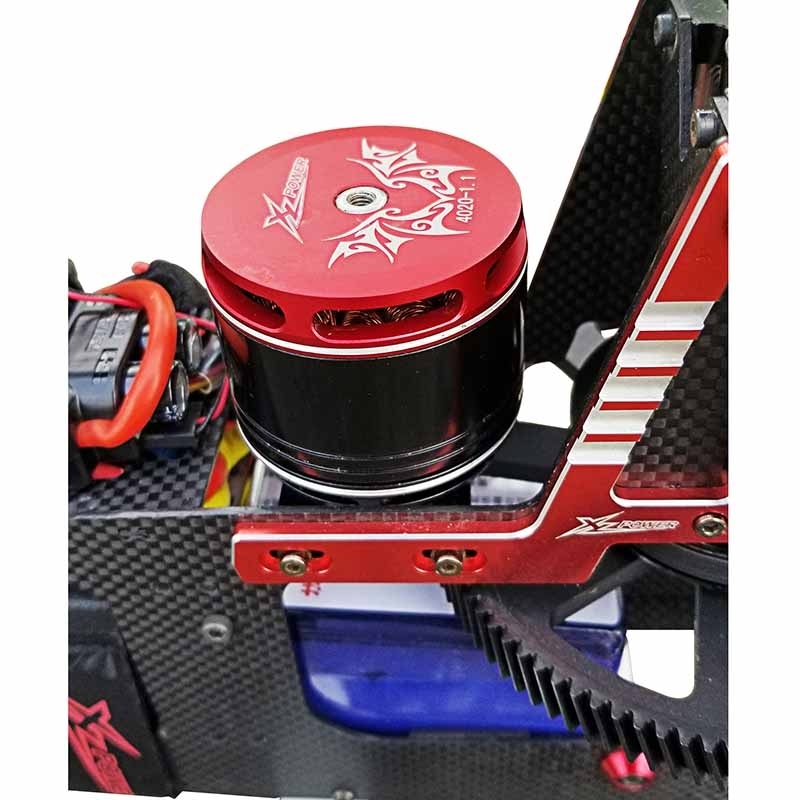 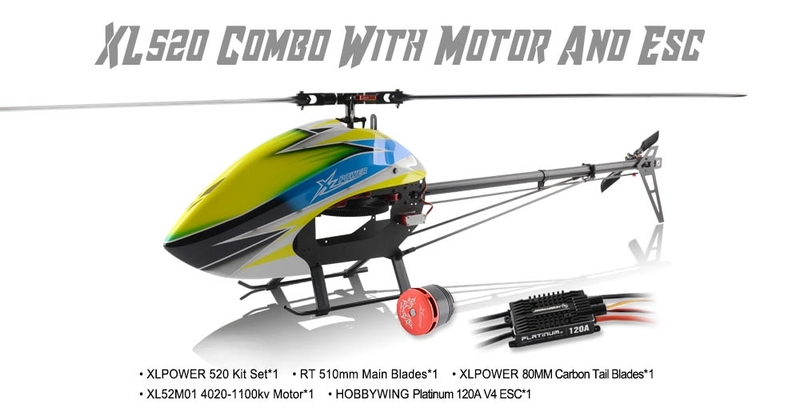 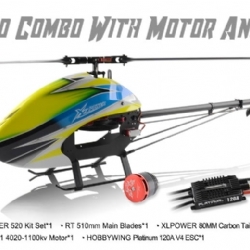 4.Swash-plate servos support medium-sizes servo,the XLPOWER520 lightweight design is 1800g,without battery this effectively increase the power and improves flight time,Tail servo support medium-sizes servos and standard servo，motor support 4020 or 4025.1100KV for 6s,550kv for 12s.Li-Po support 6S 3000Mah-5200mAh.Battery slot H 55mm*W 48mm*L150mm.ESC support 80A-120A. 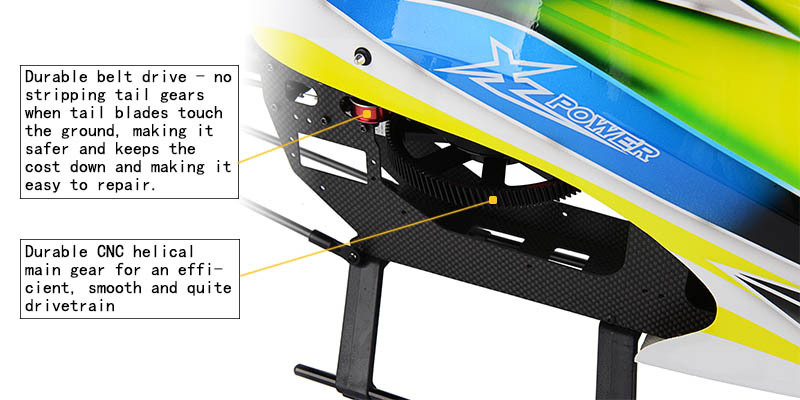 5.The canopy manufactured with durable lightweight fiber material, the Landing skid is tilted 2.5 degree forward which improves crash worthiness. 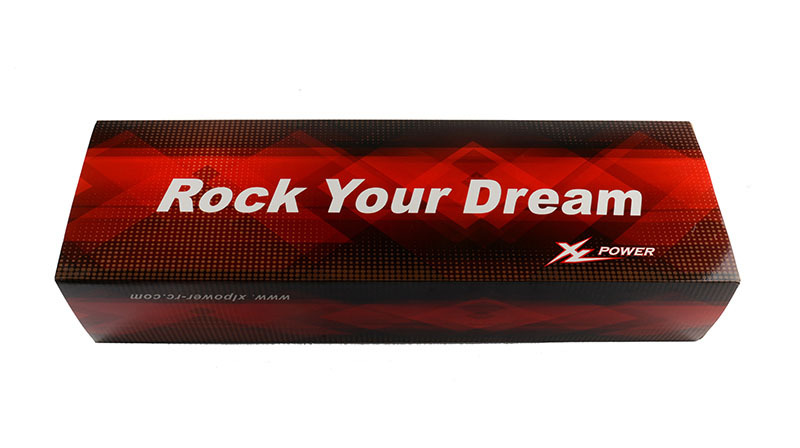 ©2016 XLPower All rights reserved.